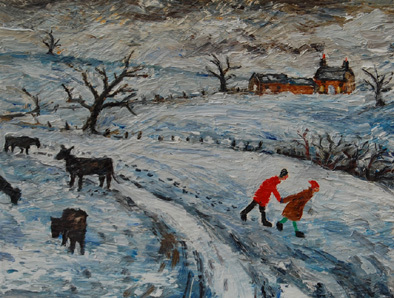 Doris and Cuthbert walk in the snow. They have a very long way to go. They envy the cows just standing around, with nothing to do but just stare at the ground.